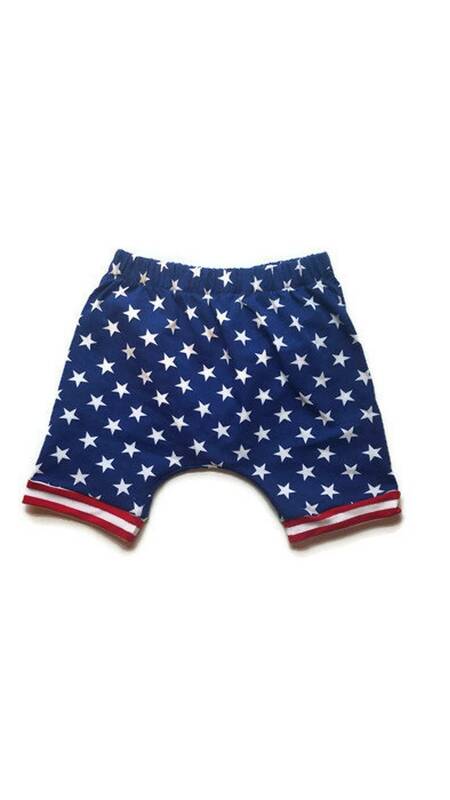 These red white and blue shorts are adorable, soft and super comfy. 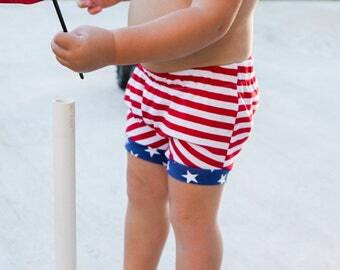 They are perfect for memorial day or the fourth of july! 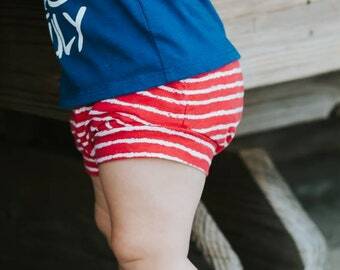 These shorts are gender neutral and made from cotton/ spandex knit. SO adorable! I got these to match a headpiece for my daughter and they're perfect! 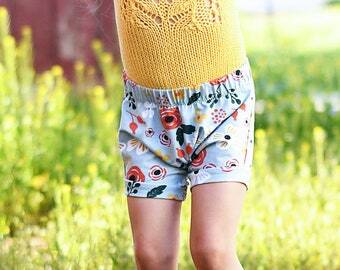 So soft and perfect for warm weather! Definitely will be purchasing here again!! 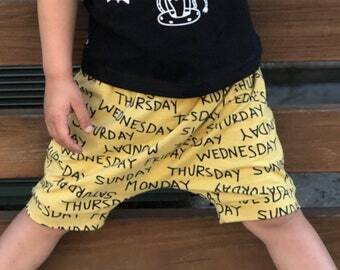 Amazing, consistent quality and adorable style! I love this shop!